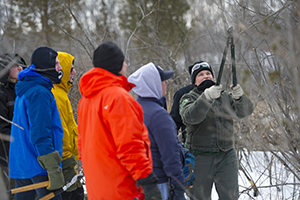 Here are a few ways to get involved in taking care of Michigan’s natural resources this month. For more opportunities to volunteer, contribute and provide input, visit michigan.gov/dnrvolunteers. Interested in serving on Off-Road Vehicle Advisory Workgroup? 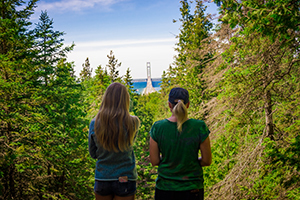 This spring – May 12, 2019, officially – marks the anniversary of the Michigan Legislature establishing the Michigan State Park Commission, and we’re planning a yearlong celebration of programs and opportunities for park fans. One way to participate is by contributing photos and memories to the digital Michigan State Parks Photo Story Map. Click “Share your memory” (blue button in upper, right-hand corner). Add as many stories and photos as you like. Stay up to date on centennial news and information all year long at michigan.gov/stateparks100. 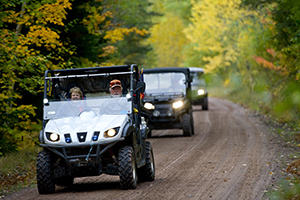 The DNR is looking for interested candidates to serve on the Off-Road Vehicle Advisory Workgroup. This group assists the Michigan Trails Advisory Council in performing the duties and responsibilities of the council and provides the DNR advice related to the creation, development, operation and maintenance of the designated off-road trail system. More information about applying for a spot on the council. Applications are due Dec. 22. Late fall through early spring is the best time to check hemlock trees for the presence of hemlock woolly adelgid, tiny, aphid-like insects that consume a hemlock’s stored nutrients, slowly sucking the life from the tree. The DNR and partners need your help in looking for and reporting signs of this invasive pest that already is confirmed in four southwest Michigan counties. For more information on hemlock woolly adelgid identification and reporting, visit michigan.gov/HWA. We’re looking for volunteer campground hosts in Michigan state parks, recreation areas and rustic state forest campgrounds for the 2019 camping season. In exchange for 30 hours of service per week (helping campers find their campsites, answering camper questions, planning campground activities and performing light park maintenance duties) campground hosts enjoy waived camping fees. Learn more about the campground host program.